The 2019 St. Patrick’s Day Balloon Rallye will be held Friday, March 15th -Sunday March 17th, 2019 at Eagle Park in Belen. (Weather permitting). 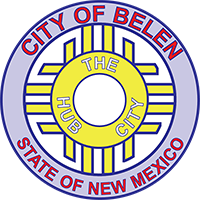 Propane is being sponsored by The City of Belen, as is the Friday night Pilot, Sponsor & Crew Reception at the Belen Community Center, 305 Eagle Lane, Belen, NM 87002. The propane manifold is back – no more waiting in long lines to refuel. This year some of the other organizations have graciously opted to cancel their normally scheduled Saturday events so that VFRS has full use of Eagle Park. After the Mass Ascension on Saturday, Skydive New Mexico will be providing skydivers to entertain the crowds on the field. There will be ample space for tailgating after the morning flights and fast refueling at the manifold. 7:00am – Pilot & Sponsor Flights. Open to the public. 8:00 to 9:30 am – Regular balloon charity tether rides for donations. 10:00am to 1:00pm – Individual Tailgate Party at Eagle Park. Please observe posted speed limits and go easy over the speed bumps and show your entry pass to the gate official. Balloon vehicles may park on the grassy areas; crews must park in the dirt lots to the North and South of the grass. Spectators are being directed to the Belen High School parking lot off Mesa Road & Delgado. For 2018 we have use of the entire Eagle Park. The City has asked us to be good citizens regarding our tail gating celebrations and trash disposal. Black trash bags and green plastic cups will be in your pilot packs for your use. Details will be included in your Pilot Invitation packages and discussed at the mandatory Saturday morning briefing. Follow directions from Parking Officials. Turn East on either Camino del Llano or Reinken Roads and proceed to Mesa Road. Turn North from Camino del Llano, or South from Reinken onto Mesa. From Mesa, turn West on Delgado Road until you reach the High School. Follow directions from Parking Officials.